It’s important to be mindful that the overuse of plugins can substantially slow down a WordPress website. Our general rule of thumb is to list out each plugin you’re considering using on your website and then decide if it’s a must-have plugin for business reasons, or if it’s more of a nice-to-have. If it falls into the second category, you should try running your website without it and see how things go. NextGEN Gallery is a classic WordPress plugin that has been around for a very long time and keeps getting better. With this plugin, you’ll be able to display your images in thumbnail galleries with lightboxes, sliders, and awesome post/page layouts. There are tons of demos on the sales website so be sure to check them out. 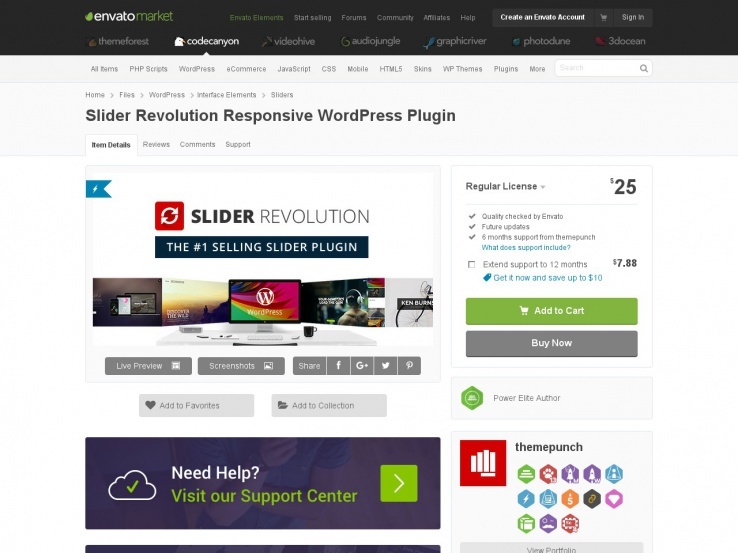 Slider Revolution is a powerful slideshow plugin used on tens of thousands of WordPress websites to create beautiful, motion-filled slideshows. This plugin is a bit complex and time consuming to set up but could be a great way to showcase your photography. You can get Adobe Flash-like visual effects while maintaining full SEO accessibility for search engines. This is a great tool to have in your belt. 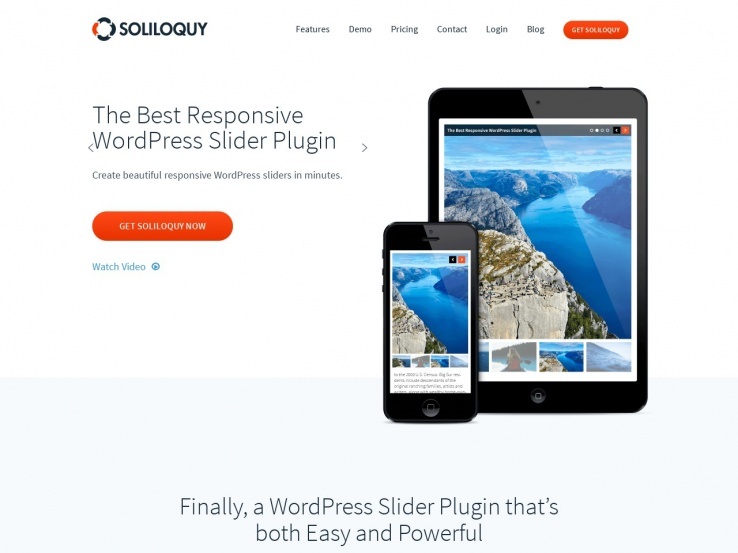 The Soliloquy Slider comes in both a free and premium level and offers a very clean, responsive slideshow. Sprinkle these dynamic slideshows around your website using shortcodes to bring added effect to your pages and posts. This is a highly respected plugin that has been packaged with themes from some of the best theme foundries. 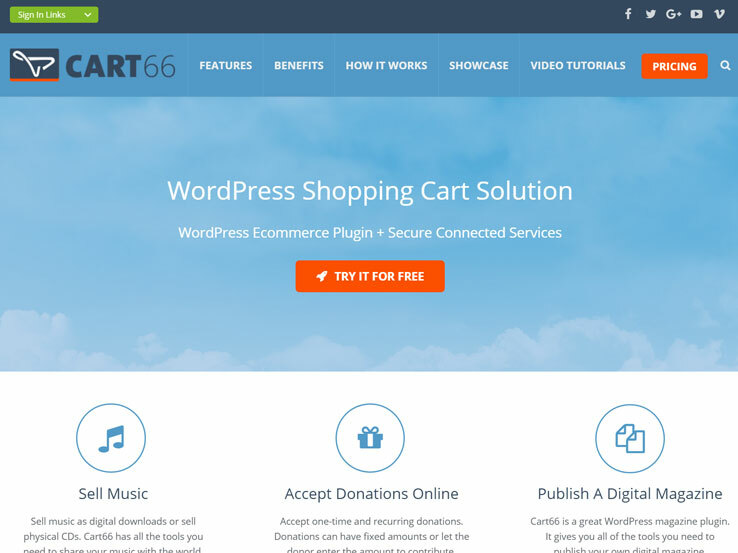 We use the Cart66 Cloud plugin and its accompanying service here on Nimbus Themes and we’re big fans. Cart66 would make a wonderful stock photography sales system, as you can create memberships, subscriptions, one-time sales — and it also delivers digital content! I can picture setting up a photography website where you’re charging a monthly subscription that gains your subscribers access to collections of content. Maybe you have lots of different collections and levels so you can always be making an upsell… I get excited just thinking about it. 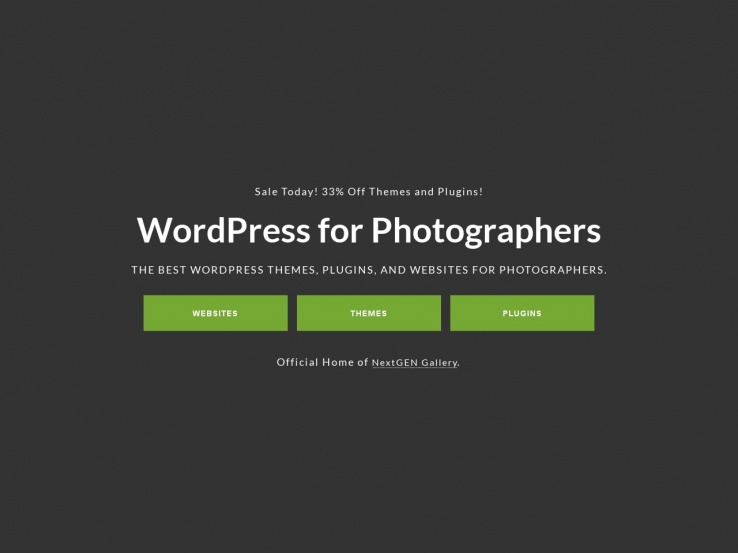 This is the perfect solution for selling photos on WordPress! Lots of photographers need to sell personalized products to different clients. For example, you might photograph a Wedding for one client, and you want them to be able to purchase the images on your website via a private area that no one else can see. 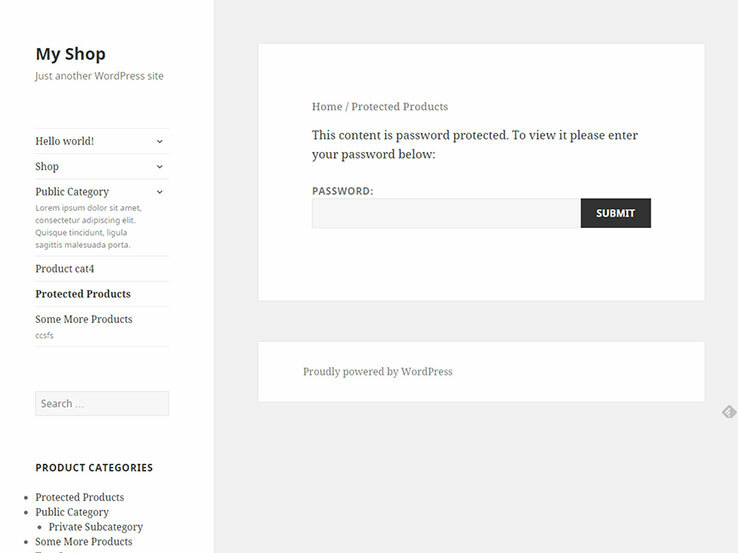 If you’re using the free WooCommerce plugin to sell photos online, you can use the WooCommerce Password Protected plugin to create a secured area for clients to access their items. Just create a category for each client, and provide the customer with their unique login information. When they enter the password on the central WooCommerce login page, they will be directed to their hidden products where they can just purchase their products. Okay yeah, so this isn’t a plugin, but for the right person this might just be the perfect theme, so I had to throw it in the mix. This theme is just what the name promises, a turnkey stock photography website that uses their “Sell Media plugin” to power the eCommerce component. I’ve not used this theme so I can’t say much about it’s effectiveness, but it sure looks nice, so if the eCommerce plugin is a legitimate solution this could be a really good option. 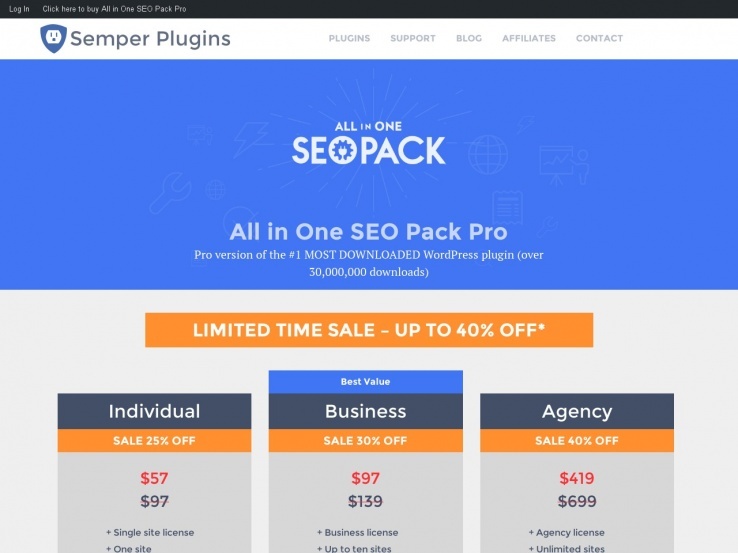 And the plugin is supported by the theme creators, so you’re getting the full-meal-deal with guided setup and maintenance for all aspects of your online business. If you’re selling your services rather than stock photography, you’ll need a way for customers to schedule a shoot. 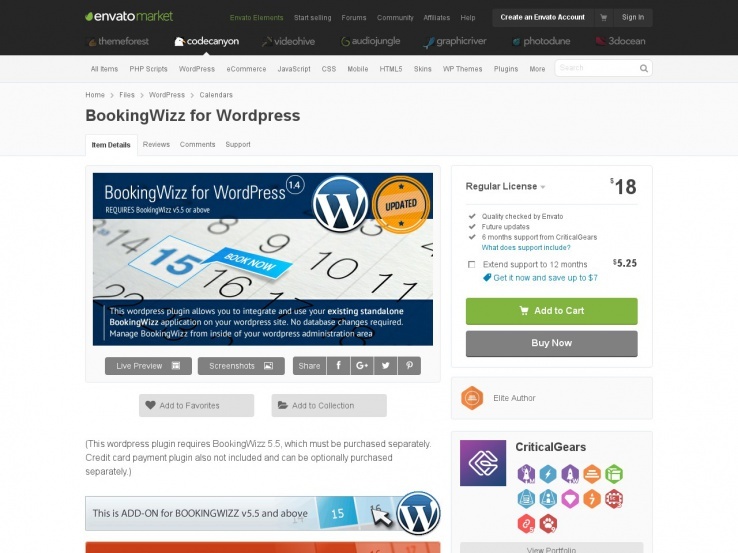 This plugin brings the power of the BookingWizz software into your WordPress website. You’re clients will be able to schedule a session with the easy-to-use interface (see the demo). This one is almost a no-brainer. You are setting up a photography website… you want to make your images easy to share. This plugin will accomplish this by adding the PinIt button to your photos so your readers can bookmark your posts with ease. Not all industries are a good fit for a Pinterest campaign, but a photography company or a photo-rich blog are perfect fits. There are a lot of image-heavy lifestyle blogs out there that are primarily accessed via Pinterest, so don’t rule it out. 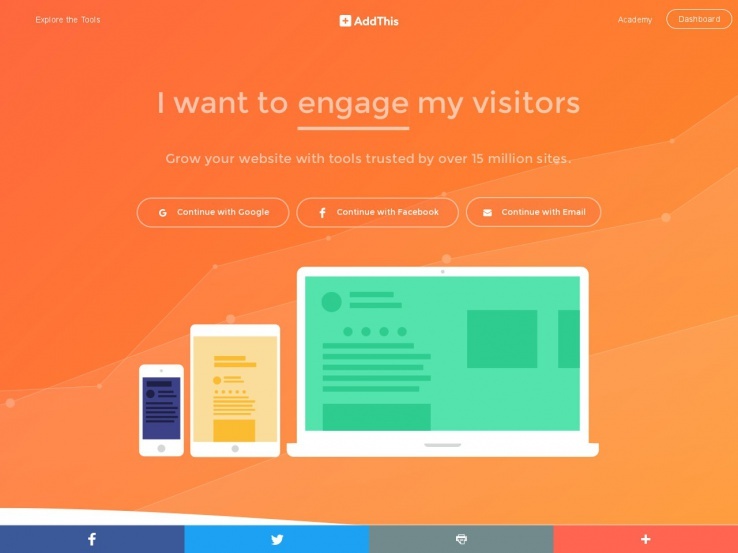 AddThis is the fastest, most powerful, and easiest way to add great social media integration on your website. 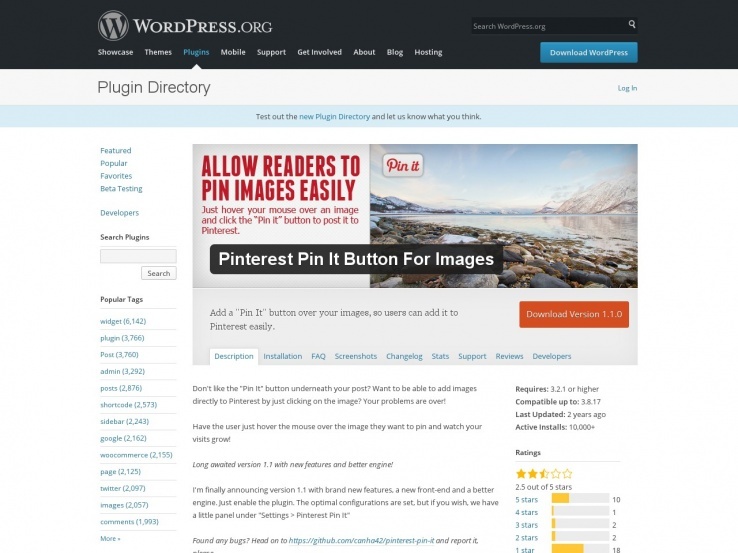 They offer a free plugin available through the WordPress plugins directory and have a reasonably priced add-on service that supercharges the feature set. With this plugin and service, your readers will be able to share your content easily putting your hard work in front of their community. If you run a photography business or a photo blog, then your bread and butter are your images, and you’re going to want them to show up well in search. 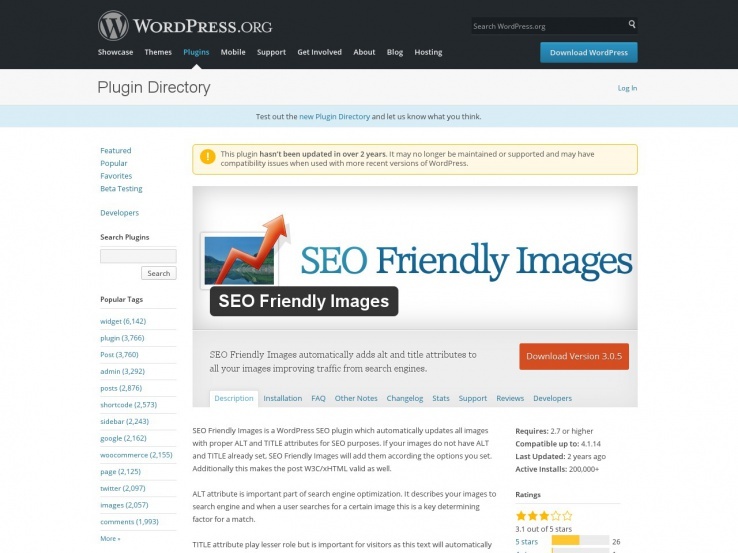 The SEO Friendly Images plugin will help with this by automatically adding ALT and TITLE tags into all of your images. There are two general SEO plugins to choose from: All in One SEO, which has been around for a long time, or Yoast SEO (see below), a very competitive newcomer. I have used the All-in-One plugin for many years so I have a comfortability with it that makes switching sound like a drag… BUT there are some great reviews out there for the Yoast plugin so I strongly recommend taking a look at both before deciding. I’ve had very minimal experience with this plugin, but have been meaning to give it a full review and possibly switch over from All in One. 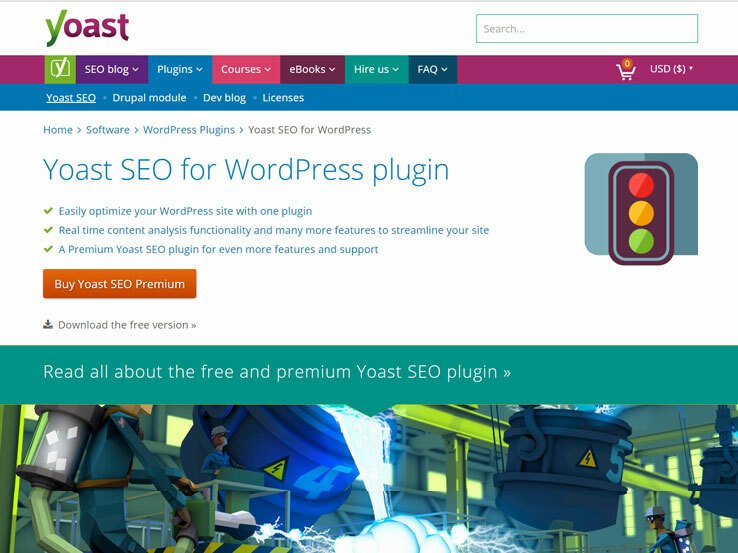 Yoast has been a very active part of the WordPress community for a long time now and that gives me a level of comfort that he and his team will be supporting this plugin into the foreseeable future. 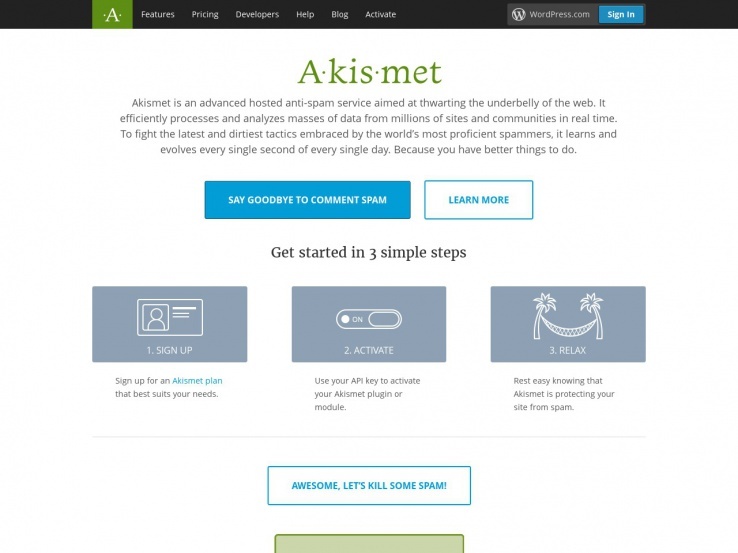 Akismet is a spam filter created by AutoMattic, the same folks who created WordPress and who set up the WordPress.org community. If you’re going to run a website or blog that has comments enabled, this is pretty much a must-have plugin and companion service. Without it, you will be swamped with spammy comments from folks linking to malware-infected websites, selling adult content, or trying to build SEO links via your site. Photo bloggers in particular are likely to see some pretty wild spikes in traffic driven by social media like Pinterest, and you don’t want to be scrambling to moderate hundreds or even thousands of spam emails during one of these traffic bumps. Do yourself a favor and set it up beforehand. 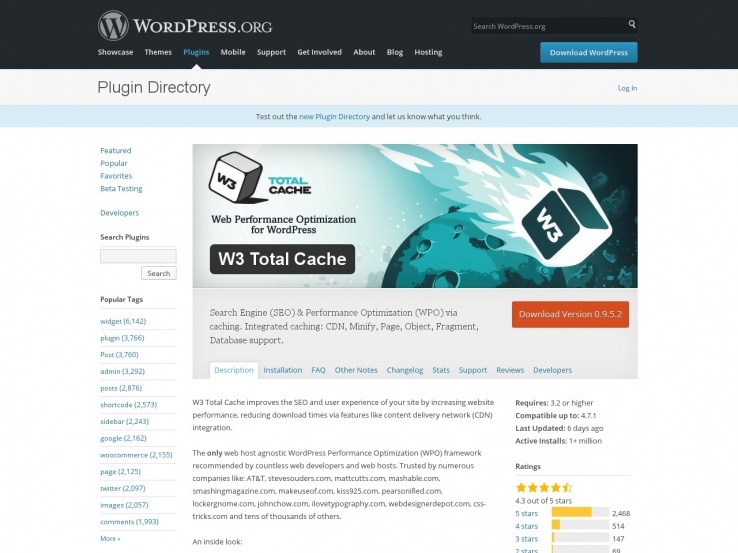 There are two main options for HTML caching on a WordPress website: W3 Total Cache and WP Super Cache. I have found that W3 Total cache combined with CloudFlare gives me the very best results and I strongly recommend this setup to our clients and Nimbus Customers. The only drawbacks to using W3 Total Cache is the complexity of the interface, which can be a little overwhelming, and the fact that it doesn’t play well with WordPress multi-sites. If you have time to play with it and are building on a standard WP install, combine it with Cloudflare (see below) and you’re good to go. Last on our list – CloudFlare. It’s not really a WordPress plugin, but I can’t stress enough the value of a fast-loading website, and CloudFlare is the single most important piece of the puzzle to make that happen. CloudFlare basically acts like a content delivery network (CDN), speeding up the delivery of scripts, CSS sheets, and most importantly for the photographer, images! You only need to make a few changes to your DNS settings to activate and it will perform all of these tasks. I want to stress this again…. USE CLOUDFLARE!! 🙂 A photography website will grind to a halt if action is not taken to speed up the delivery of images. Cloudflare will do just that. 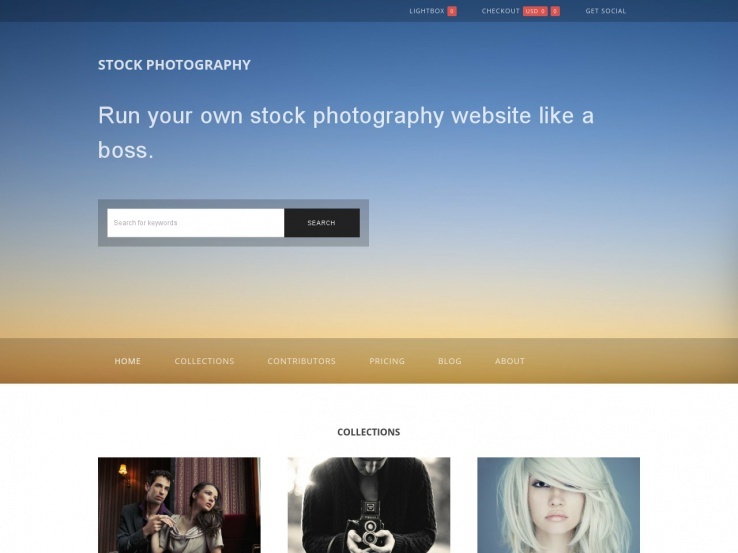 Check out http://www.sunshinephotocart.com – a free, fully functional client proofing and photo cart plugin. No limits on galleries, images, selling… and works with PayPal with no commissions. Sometimes I’ve found the majority of image gallery plugins for WordPress either too complex, too rigid or too expensive. Personally I prefer to have the majority of styling removed so that I can build my own theming around it. So I made my own gallery plugin that does just that – allows you to create a gallery but doesn’t give you any fancy-pants style. It’s called No Frills Gallery. It’s free to use so please check it out and let me know what you think. Am looking for a nice client gallery plugin for my photography website, Next gen is not an option because of compatibility issues. anybody? There is also a premium version, which I’m using and my clients love it! Thanks for the recommendation of the plugin. We will take a look at it. Amazing collection! Thanks for this wonderful article. I also want to suggest you have a look at Trash Duplicate And 301 Redirect. It’s a free and SEO optimized plugin that helps to find and delete duplicate content in your website and thereby make you safe form Google’s penalization for duplicate content. It’s core features like view duplicate content, duplicate search, add/delete redirection, are really fabulous.